Today I want to share 7 solid ways to grow your business with Clickfunnels. Whether you are an established 6 or 7-figure earner, or just trying to figure out where to start...this can help. Grow Your Business with Clickfunnels Tip #1: Increase your expectations and inflate your goals beyond belief. In my experience, you will ONLY perform at or just below your goals that you set. So, if your goal is to do 10K a month in personal income, you're not going to do 20K, 50K or 100K EVER. You MUST set higher goals. Imagine your business is a rocket that is supposed to travel to the moon. Instead of setting your trajectory for the moon, aim for the sun, so that you'll actually make it to the moon. Grow Your Business with Clickfunnels Tip #2. Widen your geographic footprint. This is the secret of the British Empire a la the 19th century. Sometimes, we just limit ourselves to a pool of people who only reside in a certain place. Recently in my other business, I increased the geography of my target audience from just the United State to also include Canada. The results have been incredible. My cost per acquisition dropped by 25%. Hence, I could "purchase" more customers. Simply because I increased the geography of my marketing because the same customers exist just north of the border. Grow Your Business with Clickfunnels Tip #3. Innovate around your assets. When you build a business, you have actually built a small combination of assets that work together to create a customer. Assets are things like sales teams, webinars, sales pages with amazing copy, lead generation systems, etc. The thing you need to remember is that assets depreciate. While you don't have to always reinvent, you can innovate and optimize those assets. Just because they worked for a season, doesn't mean they will give you those returns forever. Grow Your Business with Clickfunnels Tip #4. Innovate new benefits. Your customer wants VALUE from you. They don't care about your features and widgets. They want results. Figure out how to innovate your deliverable so that it solves the "next" problem down the line that you customer will experience. Follow that innovation pattern long enough, and your customer lifetime value will be so high, that your business will grow exponentially and the effort it takes to get a customer will be more than worth it. Grow Your Business with Clickfunnels Tip #5. Innovate around new channels. Maybe you have a really kickin Youtube marketing strategy. Maybe you have so many people watching videos and taking action that you're able to build a business around it. Don't forget that there are other channels where your customer may reside that you could duplicate your efforts on. Maybe Facebook Video View campaigns could work? Maybe Instagram TV could increase your influence and reach by 18%? Go get more attention and visibility on new channels. Grow Your Business with Clickfunnels Tip #6. Find new pockets of people. In many markets, there are multiple "flavors" of customer avatars. Many times you can cater to their needs because you are technically already in the same arena with them. Also, your social proof from the industry you are already in could benefit you and provide you with the credibility necessary to quickly convert new customers. Grow Your Business with Clickfunnels Tip #7. Acquire new assets periodically. If there are other businesses, systems or even personnel that you can purchase or hire to give you more market share, it can be worth it. For example, with Clickfunnels you can acquire proven funnels from other people though a feature called “share funnels”. It’s literally just a link that can be shared between users and you can magically import another person’s complete funnel into your account. That funnel is an asset that you can deploy to grow your business. To learn more about Clickfunnels, get a Clickfunnels Review or just learn about Clickfunnels Pricing, check out my top ranking Clickfunnels Pricing Review here. $97/mo - Clickfunnels basic plan that gives you smart funnel building capabilities. Most people choose this. $297/mo - The Etison Suite. You get unlimited funnels and number of pages along with Actionetics, Backpack Affiliate Managment and EVERY other tool they offer. $997/Annual - This is the best deal on Clickfunnels. You get the Etison Suite for 6 months free. $37/mo - The most limited page builder option with limited integration features. You don't get to split test. $79/mo - You get Lead Digits, Lead Links and you can split test. $2400/yr - You get all of Leadpages features along with their Leadpages training. Are you using paid advertising yet in your business? If not, it's ok. Just know that if you ever want to scale your revenue you'll need to. ...I see so many agency owners (ironically) and consultants jumping HEADLONG into the popular platforms without pausing long enough to question the relevance of the ad platform. Are you curious about the Clickfunnels Clickstart Program and what it can do for your business? This post will explain everything! Everything you need to know about the Clickfunnels vs. Builderall debate is packed in this post! If you're an internet marketer, you're probably invested in the latest Clickfunnels vs. Kartra debate and want to know, “Which tool can best help me grow my business?” If you’re an online entrepreneur, you know that if your business doesn't grow, it doesn't sustain. Really, the main way to grow your online business is this: Create new customers. There are a ton of passive income ideas online. Nowadays, everyone is wanting to know how to create another stream of cashflow for themselves or their family. Some of the suggestions are write an ebook, create an online course, start an Etsy Shop, do Airbnb, open a batting cage. And while all of those may be valid suggestions, who has time? In your already busy work/social/parenting/dishes schedule, who has time to reinvent the wheel for one off sales? This post is all about how to make money using affiliate marketing websites. I get questions all the time through my blog, my email list, my fan page...about affiliate marketing. I just wanted to share a quick story with you and also just walk you through the recipe of what it takes to have a six-figure affiliate marketing business because it's not as hard or as complicated as it may seem in your online research. Want to perfect your sales funnel? Want to know the #1 thing that will take you on a road of constant improvement to your conversion rates? Why? Because it actually allows them to make the right changes for their sales funnel to become a converting machine. The more you test, the more you’ll make. So what is it really? It's also known as A/B testing. It works by having two different versions of your website or sales page. Then driving traffic to said page variations and contrast the results. Visitor A sees version A and visitor B sees version B and so forth. Both activities are measured on the page where the split testing takes place. The goal is to have one page outperform the other according to your marketing goals. Say you want to do a webinar and have a registration page to begin your webinar funnel. You want to increase your registration % on that page. You A/B test that page to see what your traffic(prospects) are most likely to convert for. Now, there’s different ways to measure the success or failure of a page you’re split testing. If you’re using ClickFunnels you’ll be able to see the results right on the landing page within your funnel. You’ll see each test side by side your control(original). You’ll also be presented with a confidence score which describes how ‘confident’ you should be in declaring that test the winner. By testing each stage in your funnel this results as a well optimized sales funnel. This results in more revenue. Don't you love more revenue:)? The biggest question most marketers face when split testing involves WHAT to actually test. This article is here to help all you who are wondering where you should focus your split testing efforts to begin with. Your headline does 80% of the work on your sales page or landing page. The large attention grabbing piece of text that sits at the top of the page. An excellent headline means more people read the REST of the page. What’s the point of building a landing page when no one reads past the headline? And not consuming enough information to buy your products! That’s a surefire way to a shortage in sales. There’s an interesting statistic related to the importance of headlines, as Brian Clark from Copyblogger explains, and it states that 80% of your people read the headline, but only 20% will read the rest of it. Yeah, that’s how important a winning headline is. It’s the only piece of copy the majority of people will ever read on your landing page. So there’s no room for error here. So what do you need to know to write a winning headline? Your headline should be unique. Your headline should be ultra-specific. Your headline should convey a sense of urgency. Your headline should be useful. Write different variations of the headline. Then pick out the two best headlines. Then off you go to split testing the two. After having used the two different headlines in your split testing efforts, you should see a difference between the results these two headlines had. I won’t say how long it takes for you to get clear and trustworthy results because that depends entirely on how many visitors you get and how you acquire them. Visitors from paid advertising behave entirely different than visitors who found a blog post of yours entertaining and decided to check out your product. But the rule of thumb here is, the more visitors you split test with, the better the results as you’re testing at scale. That part’s quite obvious really, but I just wanted to make sure you were aware of that. After the visitor scrolls down from line one, meaning the headline that you’ve successfully split tested and optimized to perfection, what they should see is an offer. An offer is quite self-explanatory, because it’s exactly what it means in every situation, you give your visitor something in exchange for their email address, and that is the offer. They act as the incentive for your visitor to voluntarily enter their email address into the field on your landing page. The offer can be anything, from a free eBook to a webinar that you recorded last week. Just make sure it’s something your target audience would be interested in, because getting a free eBook about nutrition is great, but might not be what you’re looking for after clicking to a landing page that has “Amazing Photoshop Skills Fast And Easy” as the headline. Everybody has free eBooks that they offer to their visitors, which is also a reason to think outside the box on this one. Maybe go for something different and more interesting. The lead magnet is a piece of content that you want your visitors to get instant value from as soon as they give you their name and email address. By delivering value in an easy to access, fast to go through and simple enough for a toddler to understand package, you’re golden. Some examples of nice and creative opt-ins can be found here if you’re looking for some inspiration. When you’ve come up with two relevant offers to use as incentive for your visitors, you’ll get to the actual testing phase of the operation. This one is really the easiest one to test, because all you need to do is see which incentive leads to more signups over a certain period of time. If you’re using ClickFunnels I’d reccomend using a ClickPop in the sidebar of your blog to drive optins for your lead magnet. While it’s safe to assume that there’s one good price point ($5 cheaper than your closest competitor’s offering) you shouldn’t always go for it. Even though it’s a common pricing strategy, called the market based pricing strategy, you can grow your revenue rather easily simply by split testing two different price points. You can for example take the market based pricing strategy as one option, using a price common to the market or one slightly below that, and then compare its results to a completely different pricing strategy. The alternative price could be based on the profit margin or alternatively change the pricing type itself. All of these are different pricing strategies which can be used for a membership site but finding the right one for your business model requires testing. Check out the terms in the internet marketer’s dictionary. A proper call to action grabs the attention of your visitor in a way that arises intrigue and desire in them. You’ll need to make them want to sign up to your mailing list or purchase your product. By having an effective call to action in the right spot on your landing page, you can easily double the sign ups in comparison to those gotten with poor call to action efforts. An amazing call to action is always clear and simple, and never asks for the visitor to take multiple actions at once. Only request them to sign up, subscribe, watch the video or something else that you’d like them to do, but don’t ask them to do everything for you. When analyzing the results of split testing two calls to action you’ll only need to compare the amount of signups each individual call to action managed to gather from the traffic you sent to them, which makes this one an easy measure as well. How your visitors perceive the look and feel of your landing page is important, but a well thought out landing page should not see a drastic improvement from a different font color or background image (unless the original image was horrid, seen that happen as well). You can however gain a few new sign ups from the slight improvement made by these split tests. When testing elements such as font color remember to consider the psychology behind color and how they subconsciously impact the decisions made by your visitors. While harder to measure, the process is fairly straight forward. If you have the necessary traffic for it, you could try multivariate testing for the colors and layout, which allows you to test multiple different combinations in one testing instance. No more split testing blue against green, then green against red and red against blue, just testing them all on different visitors in a single go. Don't forget, you want to test BIG changes. 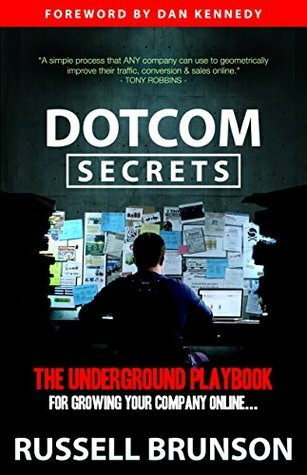 Get Your FREE Copy of Dotcom Secrets Here! That's where you'll see your biggest results. I’ve put the five elements into an order based on importance. The first four are basically co-equals. You shouldn’t leave out split testing any of those four under any circumstances. If you want more in depth, specific and complex metrics and results, you should try multivariate testing, which is basically split testing, but as the name suggest there are multiple variables and versions being tested at once. It’s especially convenient when measuring features such as colors and their combinations as well as different font types. I love hearing your thoughts, comments and experiences, so don’t hesitate to share them in the comments section below!